Norfolk’s iconic mermaid symbol is turning 20 this year, and the city wants you to be part of the celebration. Bronze Sculptor Kevin Gallup produced 130 mermaid castings, which were auctioned off for $2000 each during the Mermaids on Parade event. 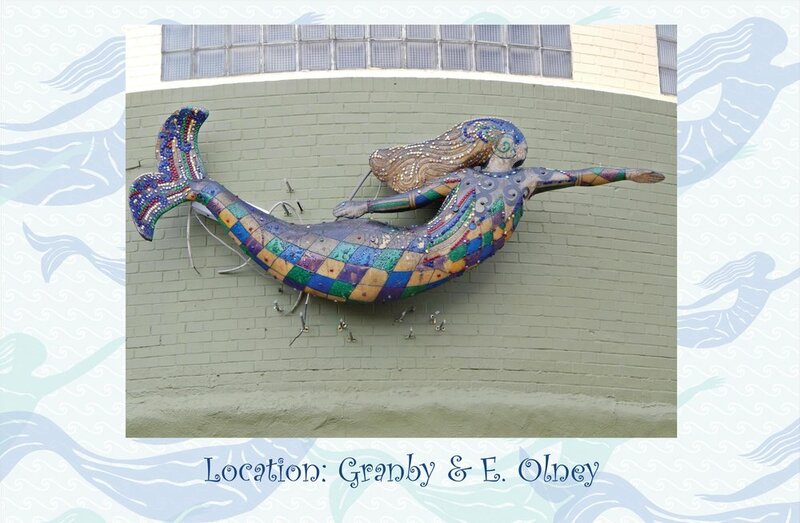 Each mermaid, uniquely decorated by artists, reflects a theme, local business or institution, or simply a slice of Norfolk life. 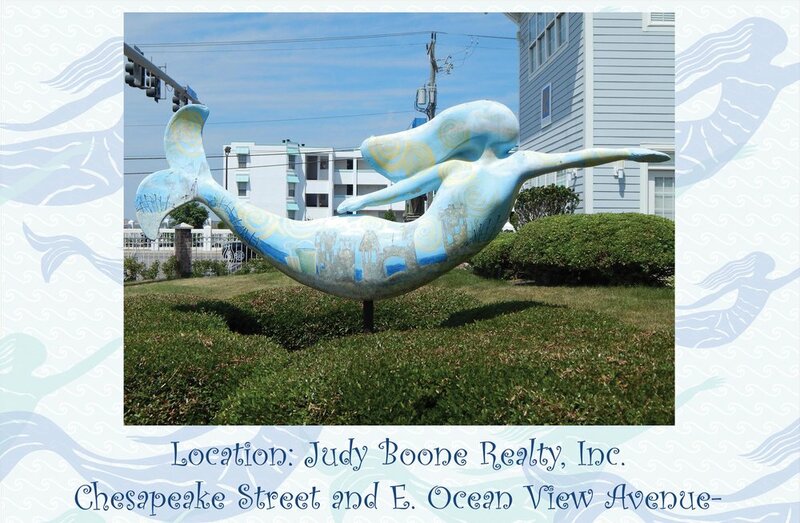 Twenty years later, many of the mermaids serve as the city’s mascots, keeping watch over local businesses, residential areas, and community and historical sites. 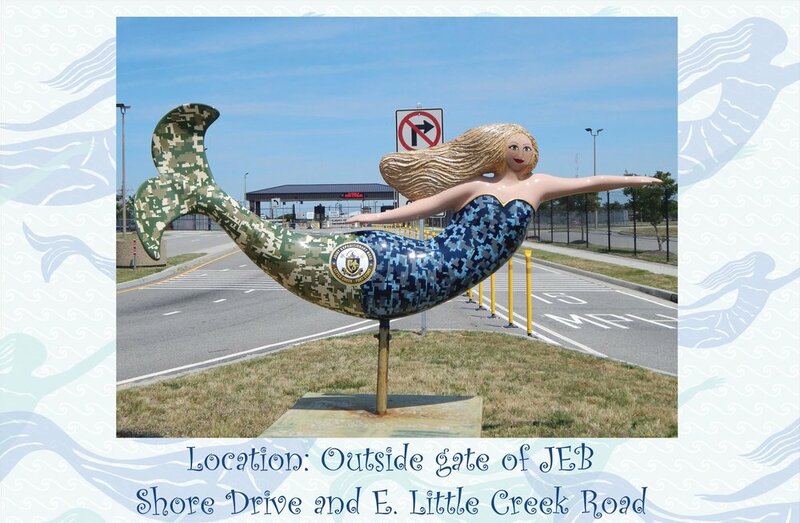 Click through the slideshow below to see some of the mermaids throughout town (photos courtesy of Erin Thomas/City of Norfolk). 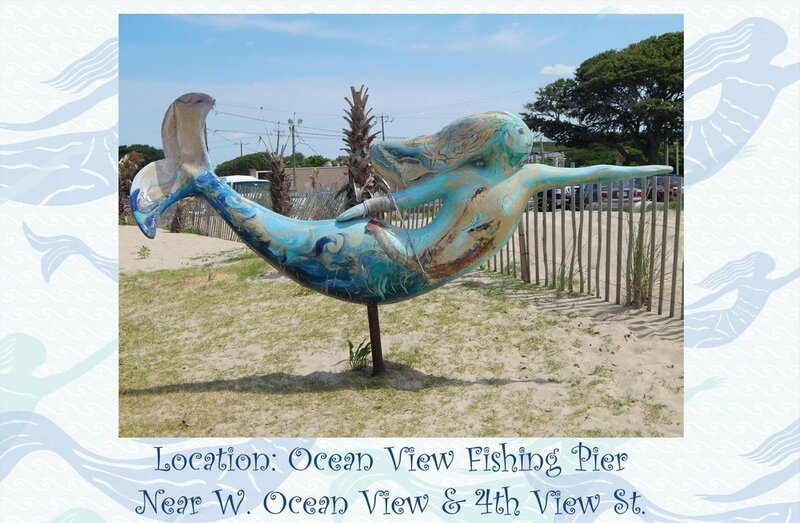 Or, cozy up to one of the mermaid sculptures for a photo op. The more pictures, the bigger the celebration. Just remember, some mermaids are on private property, so don’t trespass! 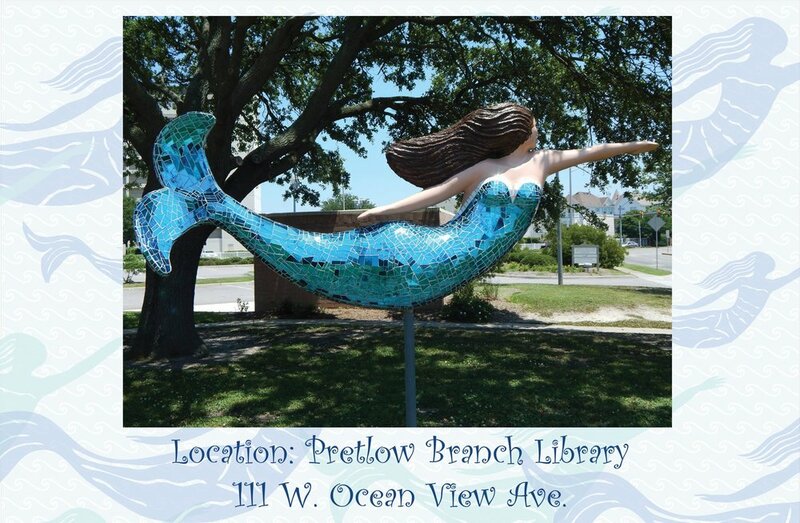 Kids can put their own stamp on the Norfolk mermaid with one of the city’s “Mermaid 20” coloring sheets. Mom and Dad can help young artists can take a picture of his or her completed mermaid and post it to the city’s social media, or they can send their work of art (with their name, age, and city of residence on the back) to the city for the chance to have it included in a mermaid coloring exhibit. However you chose to mark the occasion, you can use the hashtags #Mermaid20 and #NorfolkVA when posting your pictures on social media to help the city keep track of the fun and compile a birthday album of the beloved aquatic ladies. 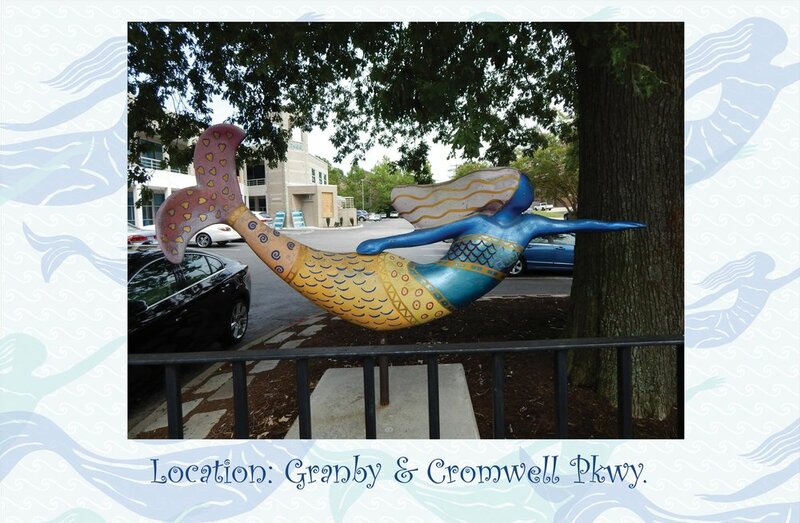 To keep the celebration going, the city says the Norfolk mermaid image will go on tour, taking “shellfies” around the globe as a “mermaid in the mail.” She’ll also take part in events at Town Point Park and a scavenger hunt across Norfolk. 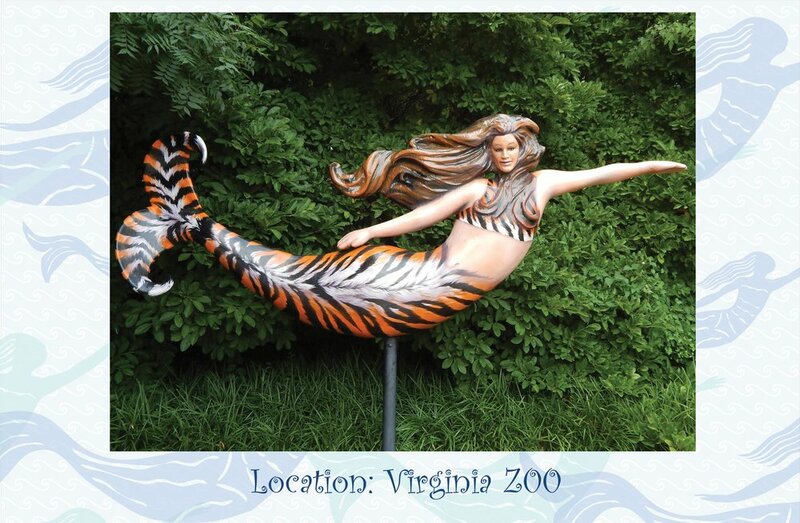 Plus, the Virginia Arts Festival is holding a mermaid visual arts competition. Artists in both youth and adult categories will compete for cash prizes, and select mermaids will be displayed during the Virginia Arts Festival’s spring season in downtown Norfolk. Submissions will be accepted through March 1. For details about the competition, click here.